Solar installer confidence continues to climb nationwide, according to the third annual Solar Installer Survey, released by EnergySage and NABCEP. This is the largest and most comprehensive business climate survey of solar companies nationwide. With nearly half of the 590 respondents stating they are more confident in the solar industry now than in prior years, confidence rose in key states such as Massachusetts, North Carolina and Washington. However, customer acquisition challenges and changing regulations in the country’s largest solar market, California, resulted in a 27 percent drop in installer confidence. Additionally, installers called for better customer service and support from manufacturers, financiers and software providers as they try to win more business in an increasingly competitive solar market. 1. Demand for solar-plus-storage surges – Nearly one in three solar shoppers are also interested in a home battery, according to respondents. Close rates for customers who receive quotes for solar-plus-storage are nearly 50 percent in some markets. 2. 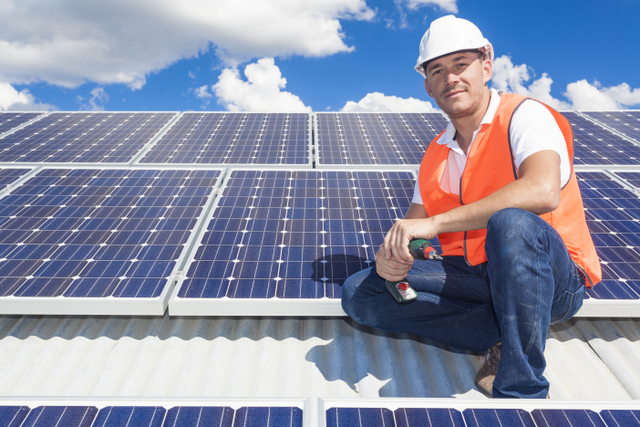 Installers may absorb solar tariff – The recently announced 30% tariff on imported solar cells and panels by the Trump administration may have less of an impact on residential solar than initially expected. Two-thirds of solar installers say they plan to absorb some or all of the cost of the tariff, rather than pass those costs along to the consumer. 3. Customer acquisition remains difficult – 37% of respondents stated that customer acquisition was harder in 2017 as compared to 2016, and that confusion created by competitors is still their number one challenge. Additionally, installers are prioritizing growth in market share over margins. EnergySage fielded this survey between December 14, 2017 and January 13, 2018. In addition to EnergySage, NABCEP, the leading certification organization for renewable energy professionals, as well as several large manufacturers, distributors, and industry associations sent the survey to their own installer networks. In total, 587 solar installers located across 46 states, the District of Columbia, and Puerto Rico participated.